Early this year, Garuda Indonesia took delivery of their newest plane – the Boeing 737 Max8 with its distinctive winglets. 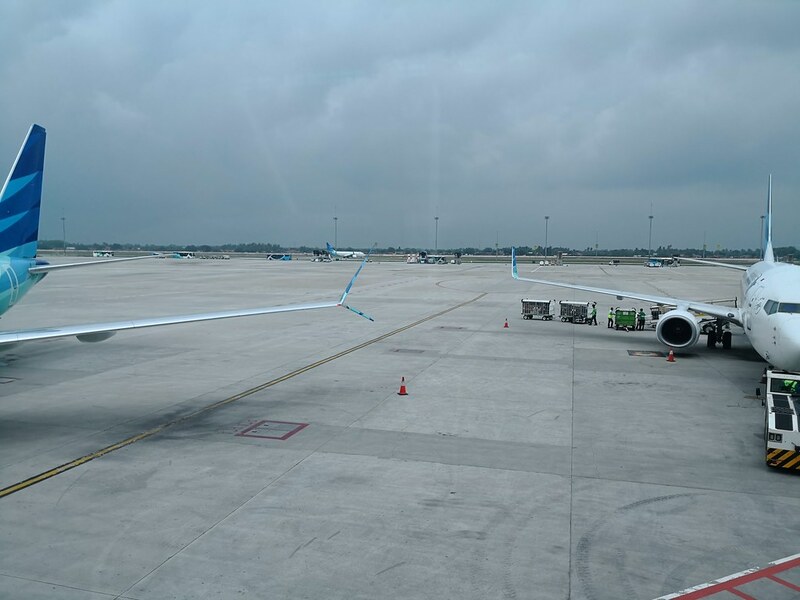 The photo below shows the difference between the 2 wingtips of the older generation 737-800 that is most common for Garuda and the new 737 Max8 on the left. 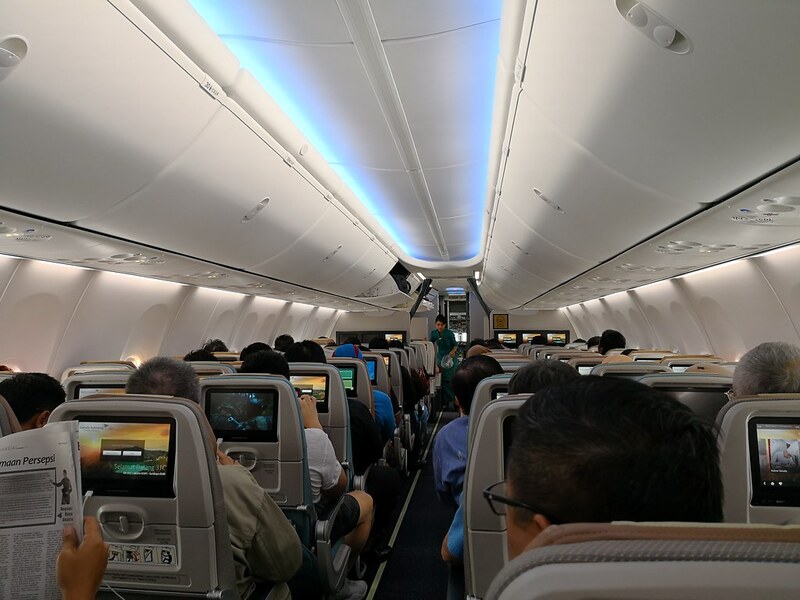 Even though it was a single aisle plane, it features a brand new interior and it is an updated version of the 737 which is the most common model and the backbone of Garuda Indonesia’s fleet. 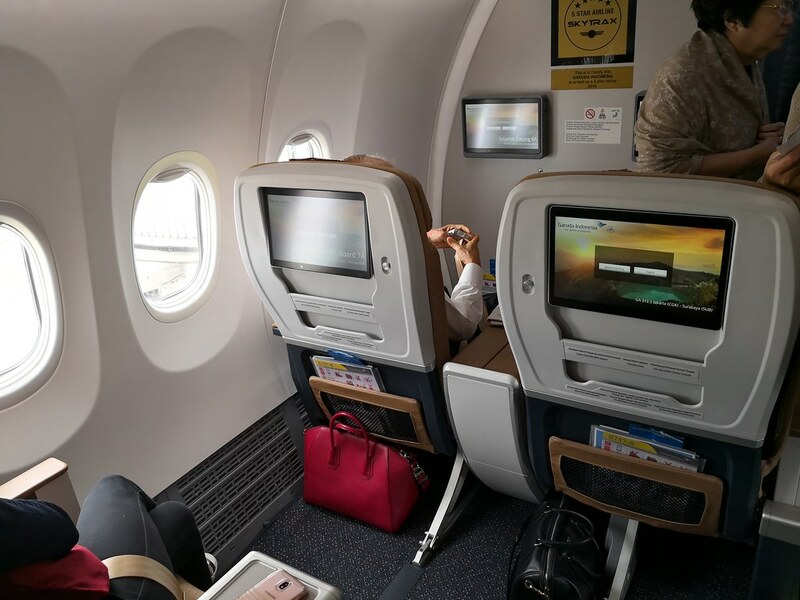 I had the opportunity to fly on this new plane on a Jakarta to Surabaya routing recently and would post some photos. 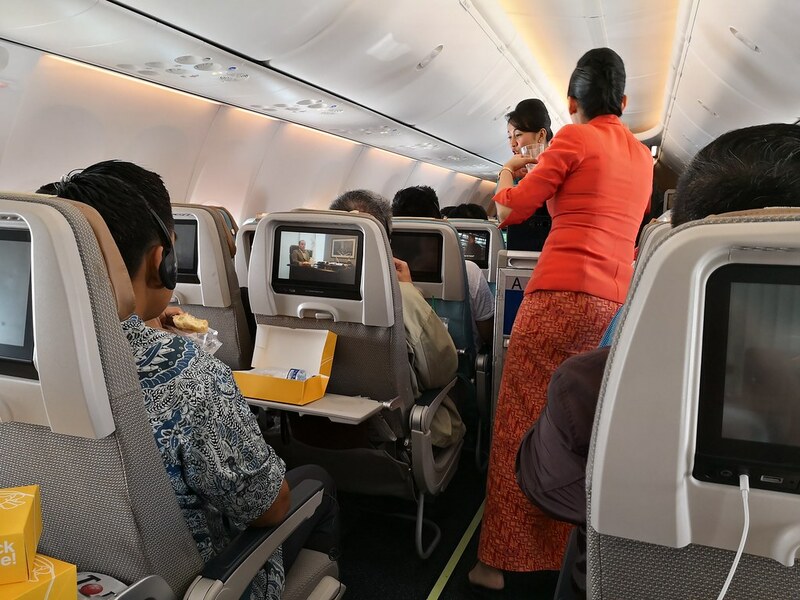 It would not be a full trip report since there was not much to write about on this usual plane journey between the Indonesia’s 2 largest cities. Business class inside the cabin is no longer upholstered in a red fabric. It now features a beige upholstery with seatbacks that seems just a larger version of Economy seats. The seats are slimmer as well which does seems to add the amount of legroom onboard the premium seats. However the number of rows have been cut from 3 rows of 2-2 seating to just 2 rows resulting in a cozy 8 seat cabin upfront. 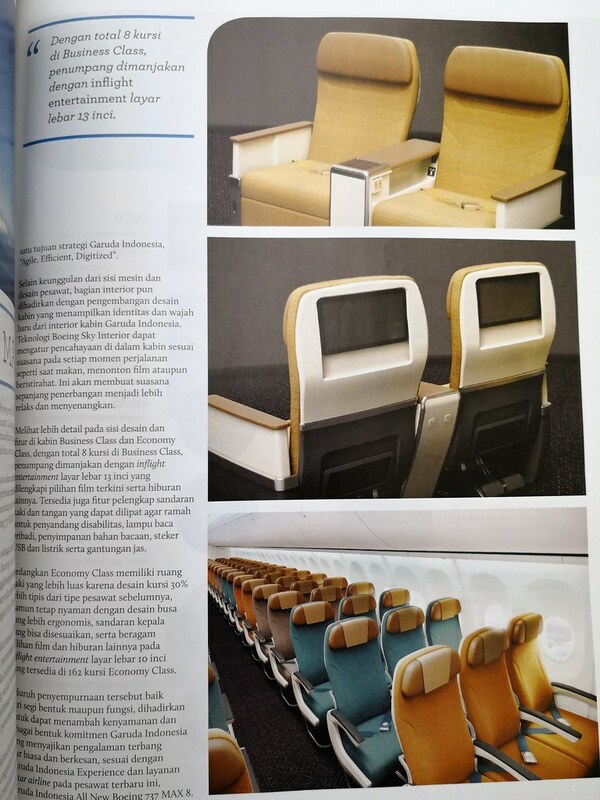 In the back, new Economy class seats have been installed as well and Garuda has added a splash of colour to the cabin. In the back there is more seats now as the Business class rows have been reduced. As expected the cabin features the Boeing Sky Interior. In the older configuration, the Emergency Exit row seats (aka Extra Legroom seats) was in rows 30 & 31. In this new configuration, they are in rows 31 & 32, with the latter being the one that can recline. 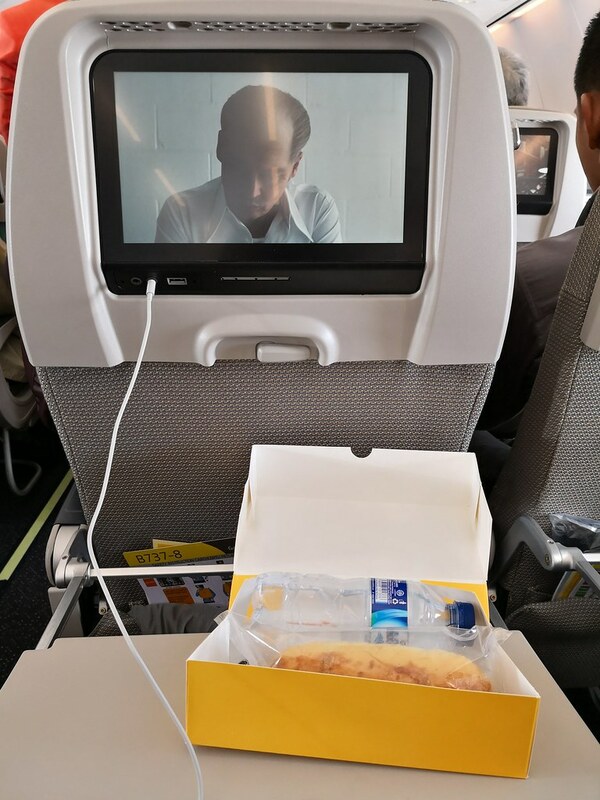 For passengers this is is the easiest tell-tale signs that you would be in the 737 Max8. 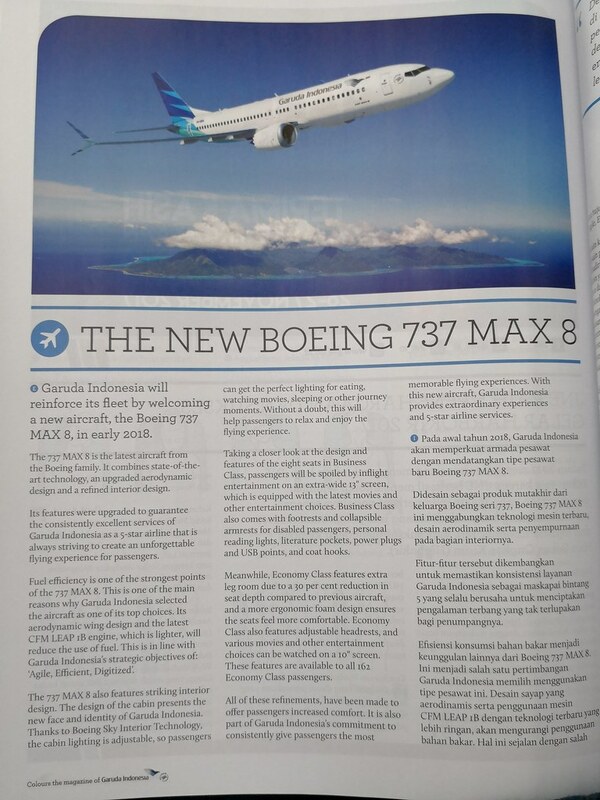 During this flight, Garuda Indonesia actually featured their new plane in the inflight magazine, and although they only have 1 737 Max8 so far, they are expected to receive a lot more over the year and I do believe some of their older 737-800 planes might even be refurbished to have the newer cabin as they seek to continuously reduce Business Class capacity. 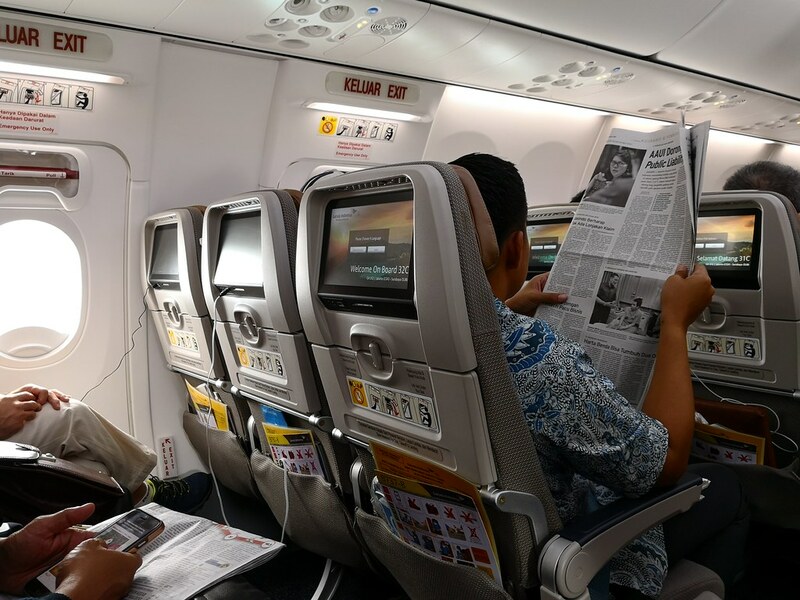 Another big revamp is the brand new entertainment system that features a sleeker interface and better screen which would occupy most passengers happily for short flights around the archipelago. Currently the 737 Max8 is not serving any one route in particular though it seems common on the route between Jakarta and Surabaya. With the registration PK-GDA, this plane is not expected to be serving International routes any time soon as I expect those route to have more demand for Business Class seats while the newer 737 Max8 has less of those seats and is most likely to remain serving the lower yielding domestic routes. 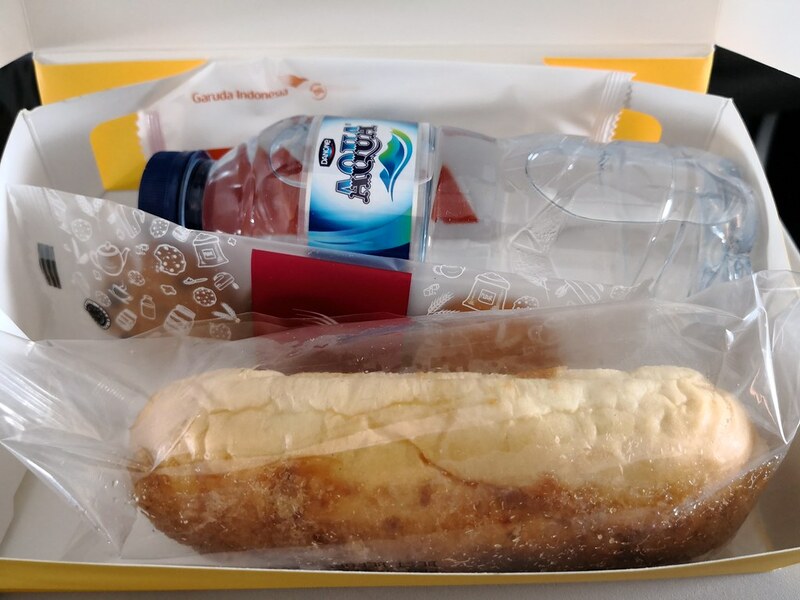 As a side note, Garuda Indonesia still serves a snack box for these domestic routes and this is a photo of the basic contents. Adequate for a short flight but nothing to shout about. 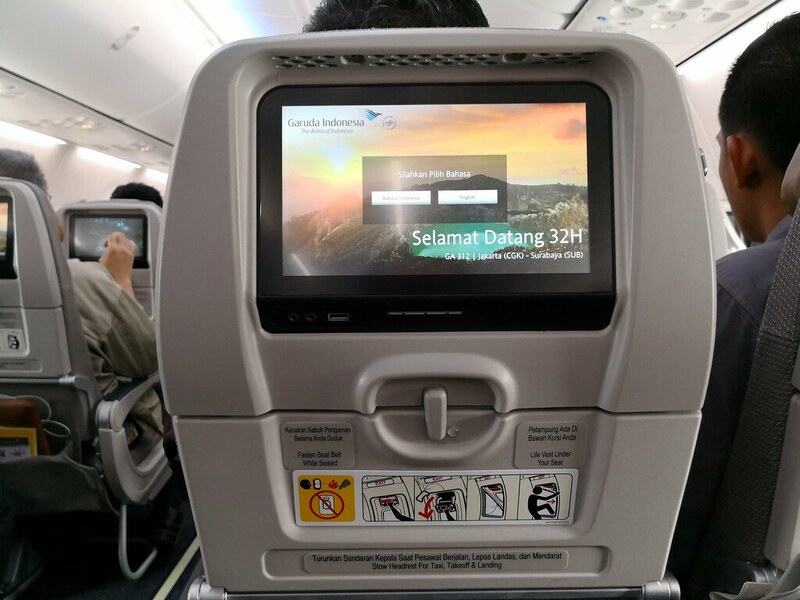 To end this post, I have to commend Garuda for their new cabin as it seems fresher and has an updated feel. Flying on the 737 Max8 was certainly nice as it will have the Sky Interior and a nicer entertainment system. Though with only 1 amongst the 70+ 737s, I am still waiting until Garuda takes possession of more of these planes or updates their older planes to the new cabin style.